2016: I felt stuck in the routine of taking same old photos and decided to find the challenge which would help me to develop professionally. Image of the month competition (IOM) from The Guild of Photoraphers seemed to be a good option. The Guild of Photographers is the highly regarded national photographic body whose members are dedicated to enhancing their skills in the art, craft and profession of photography. 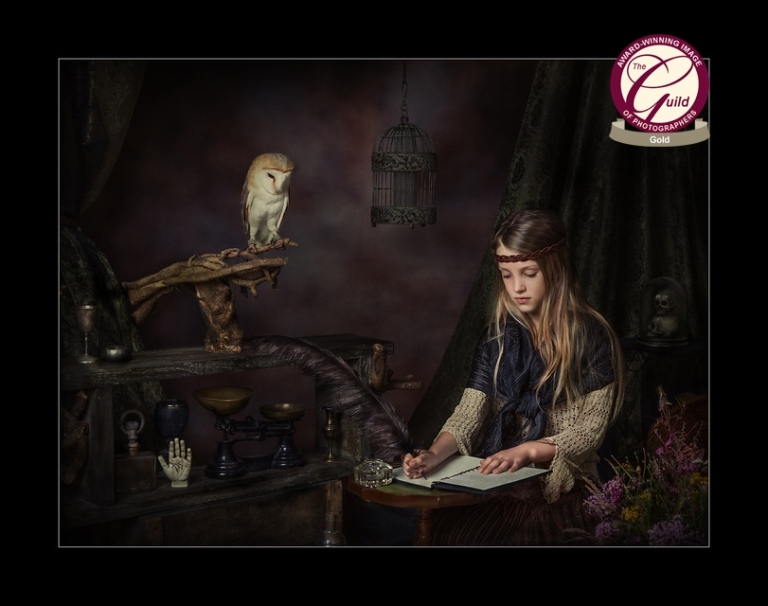 In February 2017 I was awarded the Photographer of the year – 2016″ title in People category within the Guild of Photographers, following the numerous Gold and Silver awards in the Image of the Month competition through the year 2016. 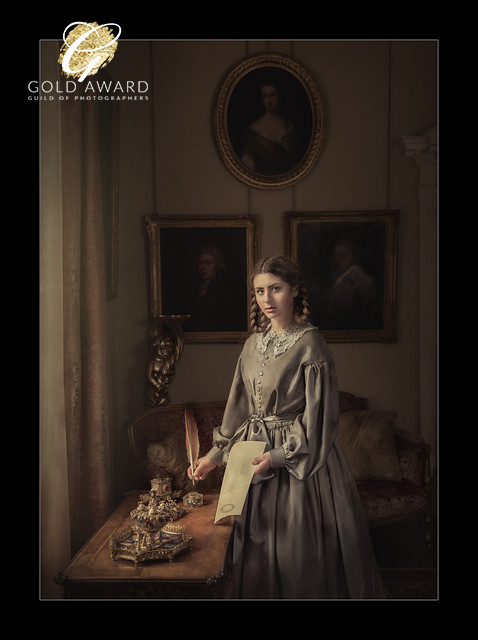 One of my images came up as a runner up for the “Image of the Year” award in “Classical Portraiture” Category in 2016. In 2018 I retained the title “Photographer of the Year-2017” in People category, and my image became Image of the Year Winner in “Classical Portraiture”. On the same year I joined SWPP (The Society of Wedding and Professional Photographers) and ran in their monthly competitions as well as The Guild’s. 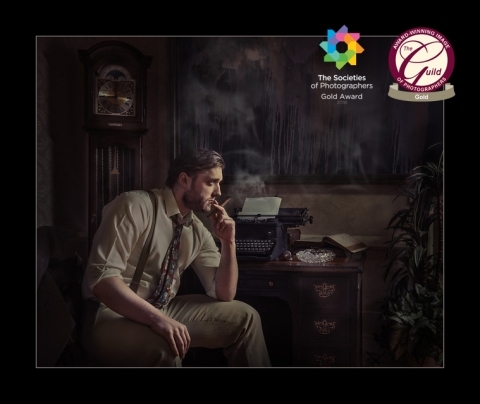 “The Writer” as well as the other winning images got me 3rds place of SWPP International Photographer of the Year in “Environmental portraits” (which is portraits on location). 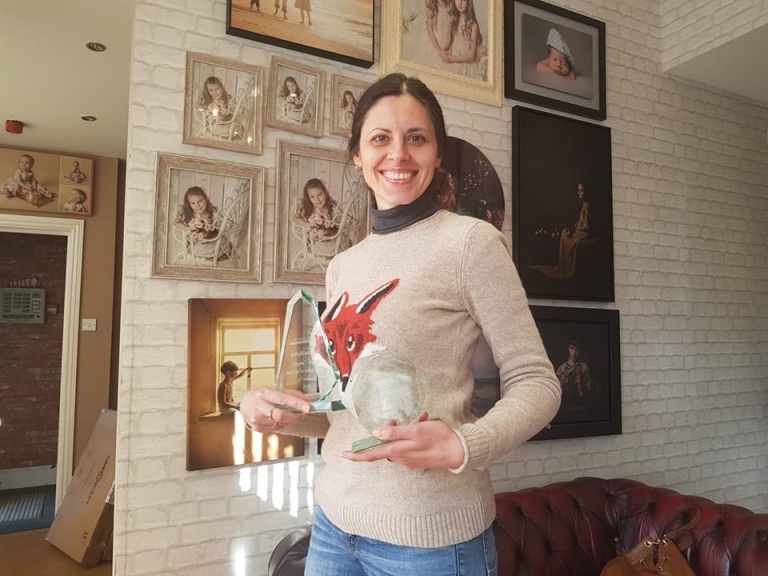 SWPP is one of the largest photographic organisation in the world with members from 100s of countries and thousands competition entries every month. 2018 was supposed to be a year out of photo competitions as The Old Mill Studios came on the horizon, which require full concentration on the business. But somehow I found it very difficult to stop entering. At competing with half and effort, I got Runner up in The Guilds Photographer of the Year in People category and Runner up in Image of the Year in Classic Portraiture.